Manage your entire event budget in one place. Your budget stays up-to-date in real-time as you sell tickets & register attendees. Getting started is quick. Import your existing budget, or use ClearEvent’s comprehensive starter budget which is an event management budget template. The template is loaded with common revenue and expense categories. 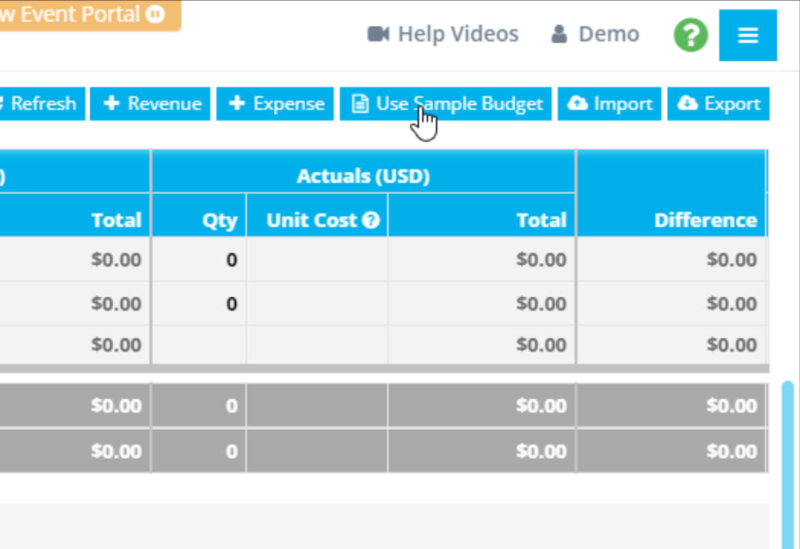 Then just add line items to the template for specific details you want to track on your budget. Updating your budget is simple with ClearEvent Software. The event team can update budget records as they go. Most importantly, fees collected by ClearEvent update your budget automatically as they are received so you can tell if you’re tracking where you need to be at any time. No more digging through data exports, Excel sheets and emails to see if you’re still within the budget. At-a-glance budget details roll-up your Event Dashboard so you always know if you’re on track. That means better decision making and peace of mind. We’re event organizers too. We know your pain and we’ve built some amazing event budgeting and management features to help take the load off your shoulders!